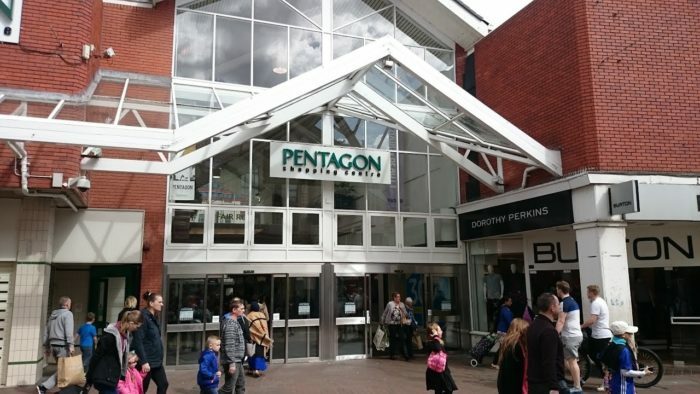 Those intrepid investigators over at The Political Medway had the scoop last night that Medway Council are set to purchase the Pentagon Centre for up to £45 million. The Council already own the freehold to the Pentagon Centre, that is they own the land the Pentagon Centre sits on, but it is leased to Chatham LLP, who own and manage the Pentagon Centre itself. A partnership between Bridges Ventures (a property fund manager) and Ellandi (who own a number of shopping centres in the UK), Chatham LLP also own the freehold to 205-209a and 181a-189 High Street, shops which stand at either side of the High Street entrance to the Pentagon. It is the head lease to the Pentagon and these adjoining properties Medway Council is proposing to acquire. The devil in these kinds of acquisitions is, as they say, in the detail. And while the public have been made aware of the proposed purchase and the budget to be set aside via an agenda item for next week’s council meeting, as the capital purchase must be approved by full council, the public report barely covers four sides of A4. I’m writing this article from the warmth and comfort of the 23:25 high speed service from London St Pancras, on what is otherwise a bitterly cold and uninviting evening, after having consumed probably one more white wine than is ordinarily healthy on a school night. But before I evaluate the events of the past few hours, let me tell you a story. Once upon a time there was a Catalan politician, candidate for Mayor of Barcelona, and a relatively unknown English blogger with a handful of Twitter followers and an Instagram audience barely reaching into triple figures. Said blogger had a habit of posting an eclectic array of photographs to the photo sharing platform, from political demonstrations to mundane selfies to his latest culinary disasters. And yet somehow, inexplicably, despite the 1,000 miles separating these two individuals (I may be rounding for simplicity) and despite their markedly different levels of importance, they ended up following each other on Instagram. No one knows for sure how long this unlikely match continued. Legend has it it was only for a few hours, while some will tell you it lasted for many months. All we know for sure is that it happened, and then it ended. 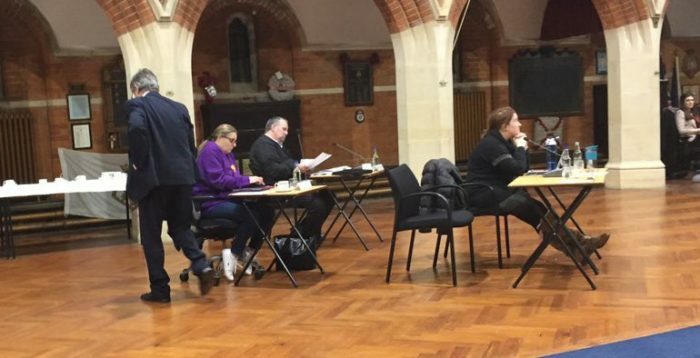 UKIP’s last remaining councillor in Medway has vowed not to turn up to any more council meetings, as he was stripped of his committee memberships by the Conservatives and Labour. Cllr Roy Freshwater, who sat on the Business Support and Children & Young People overview and scrutiny committees, stormed out of this evening’s full council meeting in protest at the council giving the nod to a report recommending that he and the council’s three independent members lose their seats on the council’s committees. 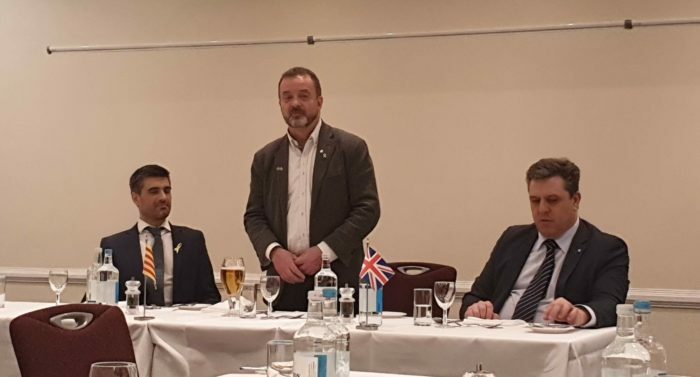 He has said he will not turn up to any more council meetings, denying his constituents in Peninsula ward a voice from one of their three councillors. Can the EU protect our fundamental rights? This is a translation of an article I wrote for the Catalan newspaper VilaWeb entitled “La UE pot protegir els nostres drets fonamentals?“. VilaWeb publishes some of their own articles in English here. Two and a half years ago, we Britons voted in the Brexit referendum. As a democrat, I had always wanted to have the opportunity to vote, the opportunity to decide on our relationship with the European Union. But when this opportunity arrived, I did not know how to vote. The European Union represents a great co-operation between countries, an economic power in which 28 nations can fight together for their interests, their economies, etc. For its citizens, the possibility of travelling and working in any European country is a right which makes the world – or, at least, the countries of this union – a little smaller and more open. Despite the mottoes of the far-right, were are all one race and we should be brothers and friends. We should live and work together. At heart, I am a democrat. I believe in the sovereignty of national and regional parliaments. I believe, above all, in democracy. If the European Union wants to represent Europeans, before anything else it has to defend democracy and human rights. It has to defend these parliaments and rights with all of the strength which the member states give it. But it does not.